This 33mm. 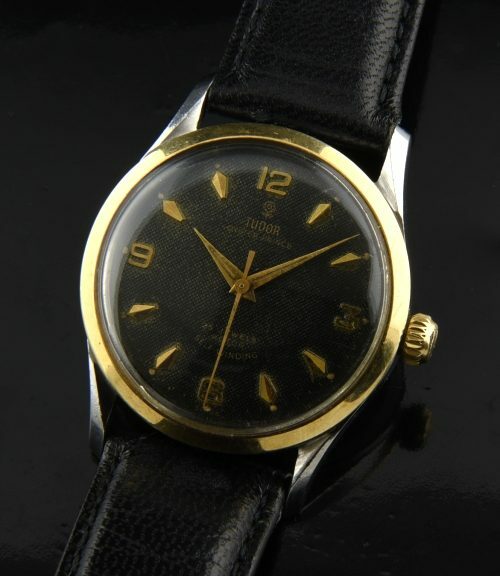 1959 Tudor Oyster-Prince automatic is an all original example. 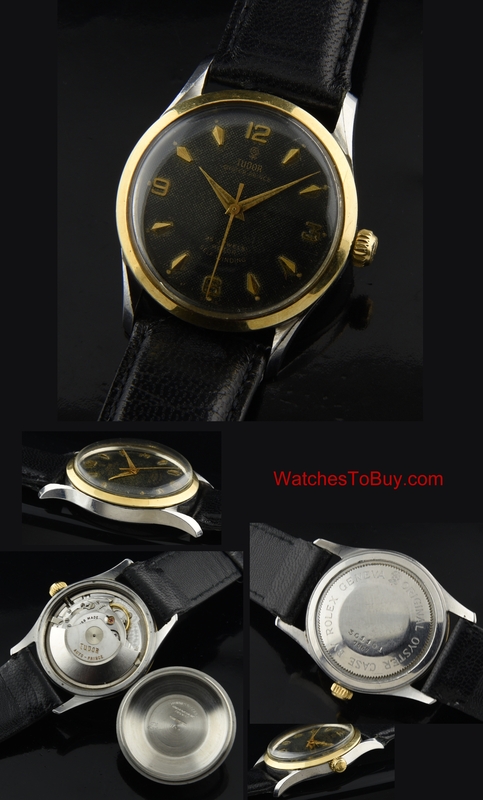 The very uncommon ORIGINAL honeycomb dial has the desired small rose emblem, Dauphine hands and Explorer style 12,3,6,9 raised gold tone arrow markers. The two-tone stainless steel case has a solid gold bezel and matching ROLEX crown. This watch has not been over-polished and is well-preserved. The automatic winding TUDOR movement was recently cleaned and is accurate. Notice the uncommon Tudor small rose emblem on the case back. These early Tudors-especially with a honeycomb dial, are becoming very hard to find. Only $1350.